Fiesta Americana Merida is a luxury 5.5* family friendly resort located in Merida-Downtown Area, Mexico. It features 350 rooms, swimming pools and spa services. Historic architecture mixes with modern interiors and the best technology in hotel services. 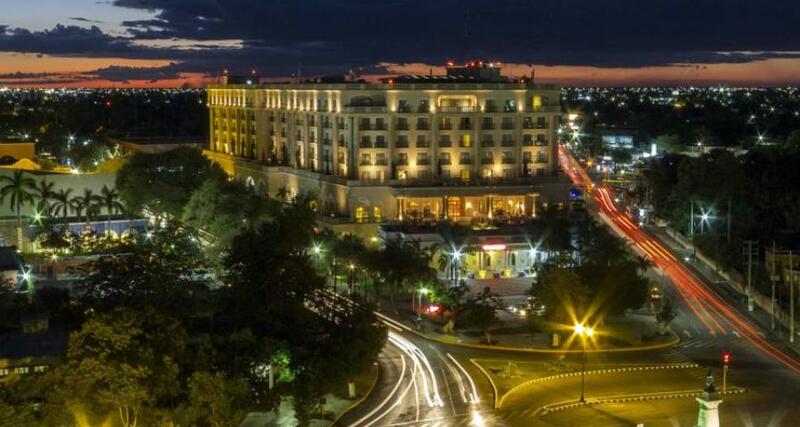 The Fiesta Americana Merida is a hotel that combines endless amenities and comforts to offer guests a convenient and enjoyable stay, whether you're in the city on business or on vacation. An excellent location at the intersection of Paseo Montejo and Avenida Colon makes it the ideal choice for your trip to Merida. The hotel also offers access to a nearby golf course and tennis court.